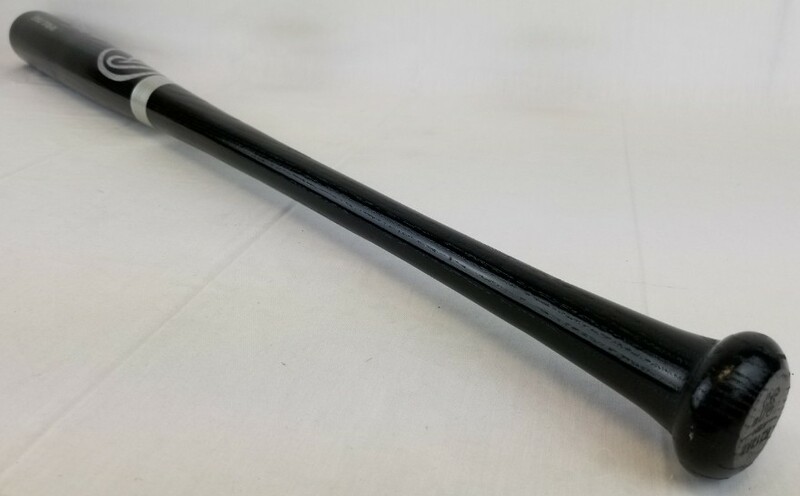 This autographed Rawlings Pro Model baseball bat has been personally hand-signed by Jim Thome of the Cleveland Indians. 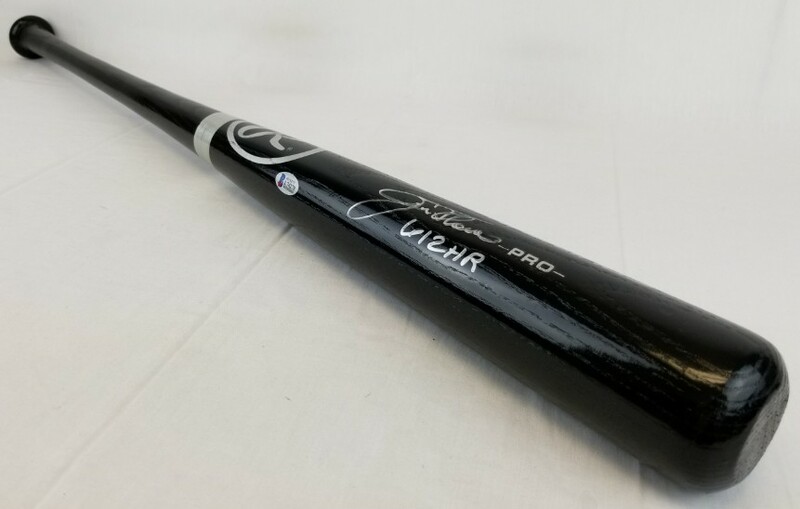 Thome added the inscription "612 HR" along with his signature. 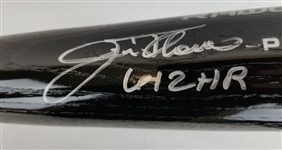 This autograph is certified by Beckett Authentication Services (BAS) Witness Certification. 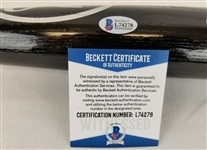 That means that a Beckett representative was present when this item was signed. 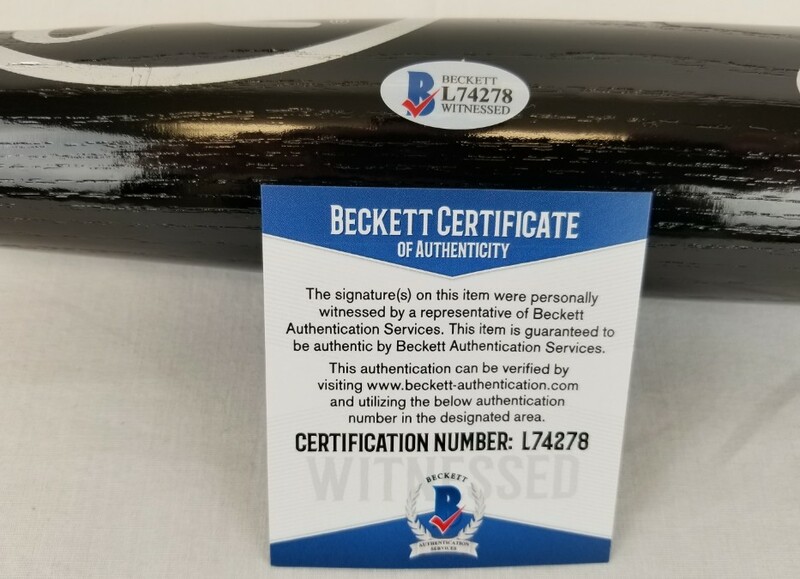 It comes with the numbered authentication hologram and matching Certificate of Authenticity.